This tuning is more properly called Deep Baritone Melody™/standard bass. The melody side is a whole step lower than the Baritone Melody™ tuning, a 4th lower than the Matched Reciprocal™ tuning, and a 5th lower than the 10-String Classic™ Stick tuning. 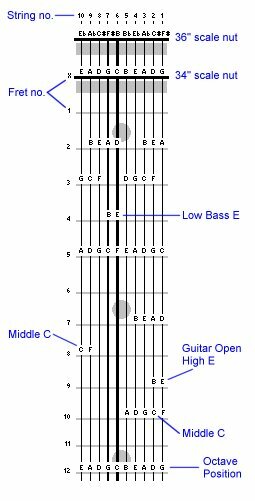 This is a powerful "rhythm tuning" allowing easy access to low and midrange notes in the lower frets of the melody strings.